Rubber Tool Box liners to protect drawers, shelves and any other work surface. 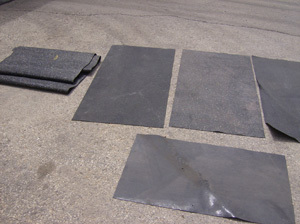 Use our Anti-Skid pads for all nonslip needs. Can be used as tool box liners, for lining shelves, underneath machinery, etc. Any use you can think of! Protect your wire and paper spools while shipping. Compatible with all soft wire and copper.